SAN JUAN, Puerto Rico - Running water is still a scarce commodity for many Puerto Ricans in the aftermath of Hurricane Maria. But, in the past weeks residents in Isabella and Quebradillas have been able to wash, bathe, cook and drink from the tap again. 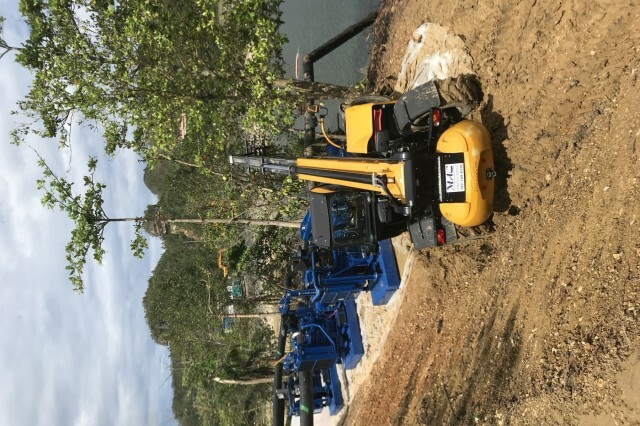 In addition to the more than 70,000 residents in the two cities, an estimated 30,000 people living in the vicinity of Guajataca Lake will soon have water as well. These areas were without running water since Sept. 20 when the storm damaged the Guajataca Dam and a nearby water treatment facility. 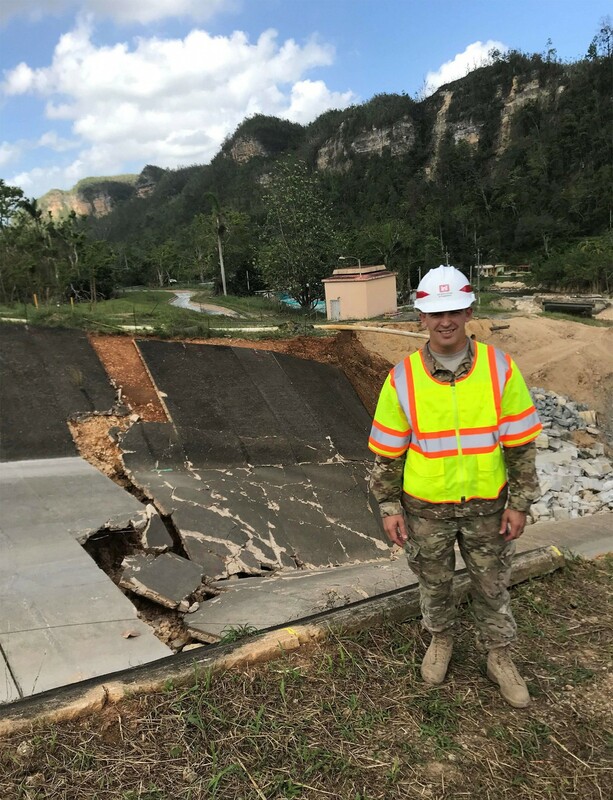 The U.S. Army Corps of Engineers quickly engaged and moved out to aid in the stabilization efforts at the dam in response to a request for technical expertise and assistance from the Puerto Rican Electric Power Authority who own and operate the dam. 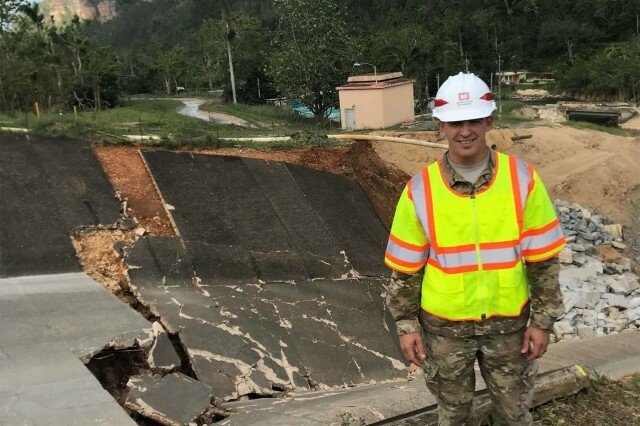 "The entire Department of Defense was involved in stabilizing the dam following the damages from Maria. The U.S. Navy and U. S. Marine Corps dropped 500 jersey barriers and the Army dropped 1,300 super-sacks to quickly halt further erosion to the damaged spillway," said Capt. Kenneth Skillman IV, action officer for the Guajataca Dam. "We continue the stabilization efforts with dump truck deliveries of riprap and gabion stone." While simultaneously working on the spillway, 12 dewatering pumps, flown in by the U. S. Air Force, were installed to reduce the water level in the reservoir and re-establish supply to a 17-mile long water distribution canal. 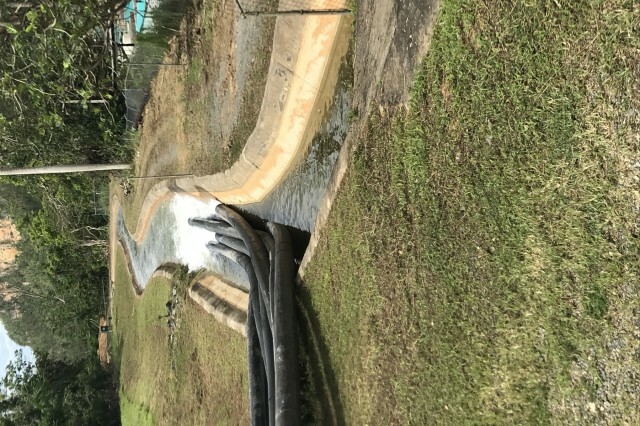 According to Skillman, normally a 54-inch pipe carries water from the reservoir to the water treatment plant, but the pipe was severed during the spillway failure. "We are using pumps to supply a water flow into the water distribution canal located at the base of the dam," said Skillman. "When we began about three weeks ago, the flow was about 14 cubic feet per second. 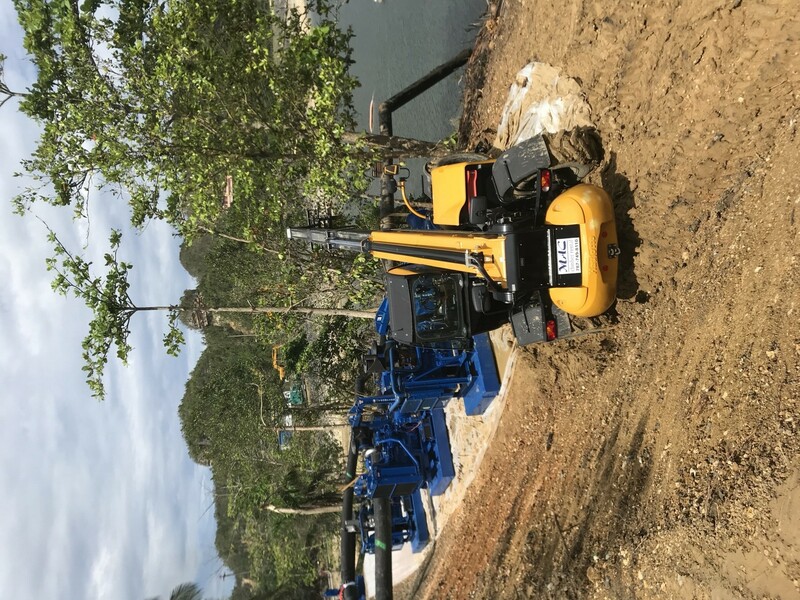 Today we are at 65cfs and with an added sixth pump we will meet the Puerto Rico Aqueduct and Sewer Authority's request for 75cfs." Recently, PRASA moved a pump, generator, and other necessary equipment to the water treatment facility at the dam, in the hopes of pulling water from the canal and pumping it to the water treatment plant. Once treated, the water will be distributed to the lake area communities, bringing them one step closer to life before the storm. "This is another step on the road to recovery," said Recovery Field Office Commander, Col. James DeLapp. 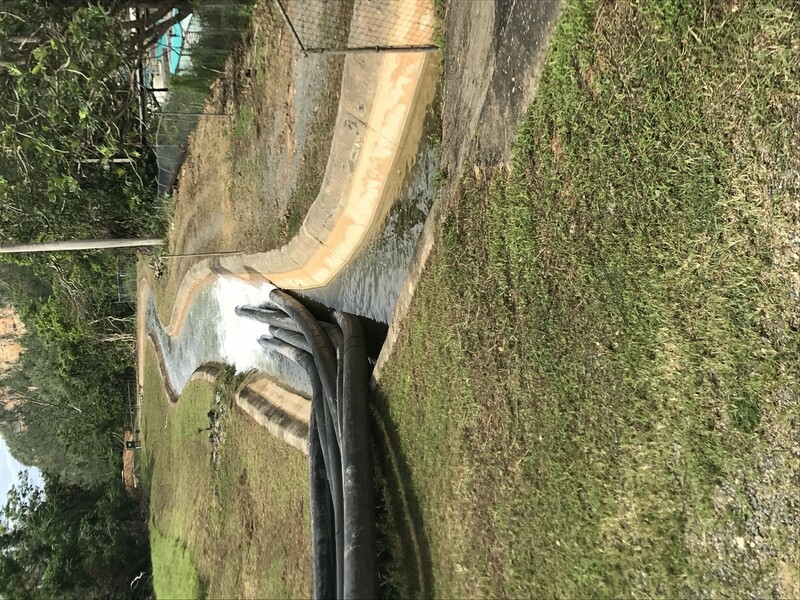 "The combined efforts between the Department of Defense, Corps, FEMA, PRASA and PREPA has not only restored running water, but created a small spring of hope to more than 100,000 people around Guajataca Lake, Isabela and Quebradillas."